In recent months a spotlight has been placed on the deaths of children who have succumbed to heat strokes. According to the San Francisco State University Department of Geosciences, since 1998 there have been over 600 deaths of young children in the U.S. These fatalities have been attributed to parents and caretakers leaving them in a car by themselves. A heat stroke is an injury caused by long exposure to high temperatures, often combined with dehydration. Heat stroke symptoms include headaches, dizziness, nausea/vomiting, seizures, and in severe cases unconsciousness, which can then lead to death due to damage inflicted upon the brain or other internal organs. Some people think they will be able to leave their child in the car to make a quick stop, run their errands, and then get back in. 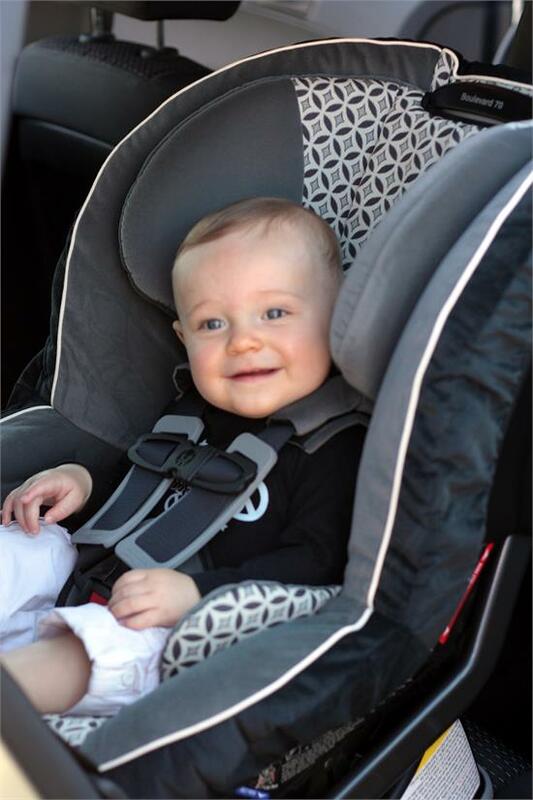 Even with the windows cracked temperatures can rise very quickly in an enclosed space like a car, which may be enough for your child to suffer a heat stroke. It is not worth the risk. During the course of your busy day you may be feeling exhausted and distracted – inattentiveness is yet another reason adults leave children in the car. Create a habit of looking inside the vehicle before locking the door and walking away. This will prevent you from accidentally leaving your child behind. Another unfortunate thing that can happen is your child may find a way into your car, which is why even if it is parked in a driveway or garage you should keep your car locked. It is not only about deterring would-be thieves; this will ensure your kids do not enter the car unknowingly and lock themselves in. Remember to store your car keys away in a spot your children cannot easily access. If a child is locked alone in the car, do something about it! If you see a child alone in a locked car call 911 immediately! You do not know how long they have been locked inside so it is best to take action immediately, even if you have to get involved yourself. To fight forgetfulness and inattentiveness find ways to remind yourself to take your child with you when you leave the car. Place an important item like your wallet or purse next to your child’s seat – you can even write a note to yourself not to forget to take them with you. If you have a babysitter or caregiver for your child, make sure to inform and warn them of the dangers of heat strokes. Back in 1993, the National Highway Traffic Safety Administration launched the “Where’s Baby? Look Before You Lock” campaign to help inform parents and caregivers of the dangers of leaving a child locked inside a car. With these tips in mind, you will be able to protect your child from heat strokes.